There is so much art going on this Sunday, October21 in Metuchen! The “big event” is a Gallery Walk from 1-5 pm where the four permanent galleries— Transformations, The Rotunda, The Library, and Nails in the Wall— will be buzzing with music, art, artists on site and snacks. 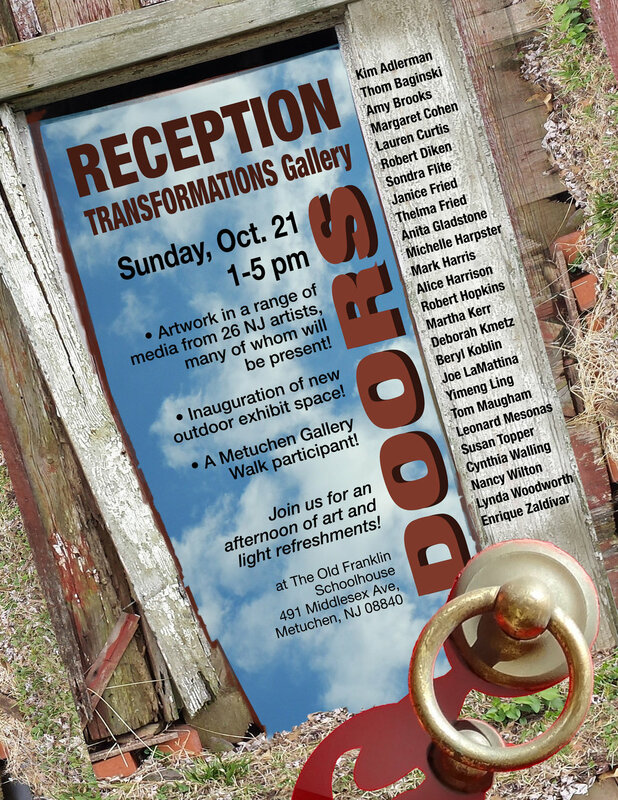 At Transformations Gallery (at the Old Franklin Schoolhouse, 491 Middlesex Ave.) we will be having a reception for our inside exhibit, Doors, (see top flyer above) featuring the work of 26 New Jersey artists many of whom will be present and some of whom will be selling art. 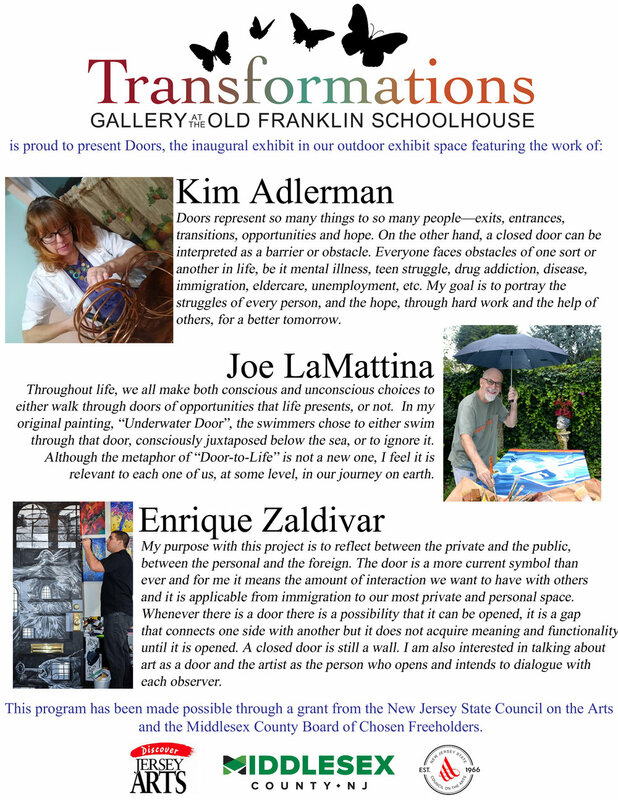 We will also be unveiling our brand new outdoor exhibit space with three historic doors that have been transformed by Enrique Zaldivar, Joe LaMattina, and Kim Adlerman (see second flyer above). Everything is free and open to the public. Hope you can join us to experience some great art in Metuchen!